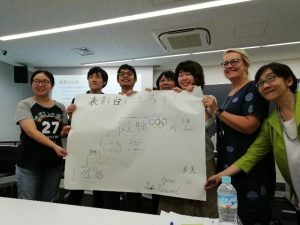 In September Dr Debbie Sadd and Dr Hiroko Oe were invited to Tokyo by Toyo University to help staff and students build educational legacies from the upcoming Tokyo 2020 Olympic and Paralympic Games. 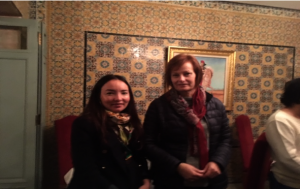 This was as a result of Dr Sadd being invited by the British Council in December 2015 to present at a symposium Bournemouth University’s educational legacies from London 2012. Toyo University have visited BU twice since as well as a larger delegation of universities with the British Council and this latest visit continues the work being undertaken to help Universities’ in Japan learn from the UK experience. During their recent visit Debbie gave some keynote lectures which were followed by Q&A sessions with staff and students. 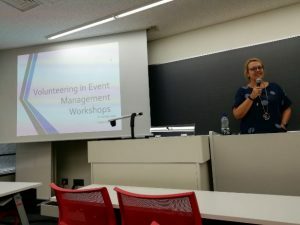 Hiroko then led workshops where the students presented, in teams, plans for legacy building and educational lessons from Tokyo 2020. Some of this work stems from the Festival Maker Legacy that BU set up with Bournemouth Council to facilitate volunteer opportunities (thanks to Ian Jones, Regional Community Engagement Manager) and Toyo are particularly keen to get their students setting up a similar scheme as soon as practical and to continue long after the Games have finished. Please contact globalstaffmobility@bournemouth.ac.uk (Elaine Asbridge) if you have any queries or would like to attend one of these sessions. Aimed at academics, policy makers, organisation and business leaders, practitioners and charities, this free event will explore the potential gains from a gradual and well-thought migration flow that benefits not only from high human capital but also from communities’ social capital. More cohesion and more shared responsibility in our societies will lead to less conflicts and more collaborative practices. Firms will benefit in terms of their recruiting practices and policy makers will benefit by understanding who their real counterparts can be. 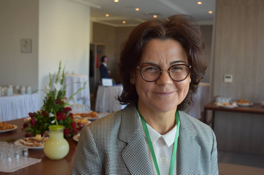 You’ll hear from Maria Boscher from the European Commission who is in charge of integration policies as well as representatives of leading universities including Oxford, London School of Economics, Aston and Bournemouth University. On Monday 21st May 2018, Bournemouth University (BU) held the inaugural Assistive Living Technologies (ALT) Symposium at Talbot Campus. 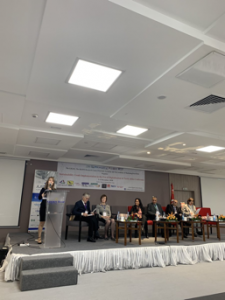 The Symposium was a fusion of research domains: Human Computer Interaction, Cyber‐Physical Systems, Robotics, Accessibility, Digital Health and Inclusion. 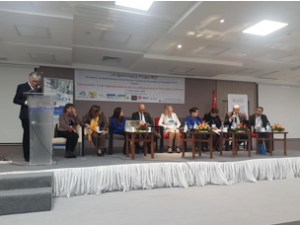 The sponsor of the Symposium was EduWeb (EU Erasmus+ Project) which promotes digital inclusion within educational institutions, by providing a safe and creative web. 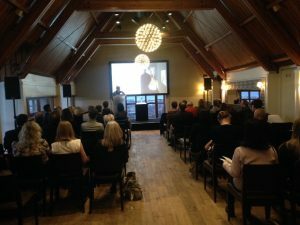 The Symposium was organised by Dr Paul Whittington and Dr Huseyin Dogan from the Human Computer Interaction (HCI) Research Group. We were delighted to welcome Professor Nigel Harris from Designability, who develop products to increase dignity, confidence and independence for over 250,000 people with reduced abilities. The charity is supported by the University of Bath and Bath & North East Somerset Health and Wellbeing Board. We also welcomed Martin Harman and John Heath from Southampton & South West Hampshire Remap Panel and Michael Garnish from Bournemouth Remap Panel. Remap is a national charity operating through local groups of skilled volunteers, who provide independence for people with reduced abilities, by designing and manufacturing bespoke equipment to assist with daily tasks. Designability and Remap delivered presentations on application of assistive living technologies to real world environments. 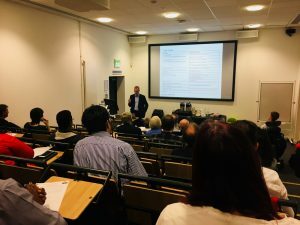 40 delegates attended the Symposium, representing the BU Faculties of Science & Technology, Health & Social Sciences and Media & Communications, as well as external organisations, including the NHS Dorset Clinical Commission Group, Possum Environmental Controls and Victoria Education Centre. The Symposium was opened by Dr Paul Whittington and Professor Keith Phalp, followed by an interesting keynote presentation by Professor Nigel Harris, who introduced Designability’s Innovate UK CHIRON Project, which aims to provide a modular robotic system to support care at home. The system (branded JUVA) consists of a set of intelligent robotic systems in locations around the home, to help with personal care, including hygiene tasks and food preparation. 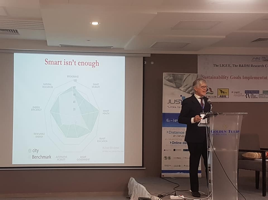 The organiser of the Symposium, Dr Paul Whittington, presented his research, centred on the development of a SmartAbility Framework. 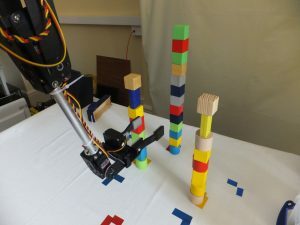 The framework supports interaction for people with reduced physical ability through the application of built-in sensor technologies that automatically detect user abilities. 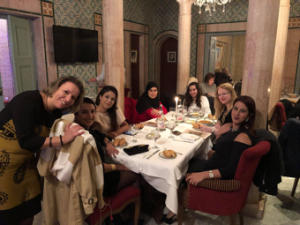 The Remap charity presented their work to improve the quality of life for people with disabilities, through the development of bespoke solutions to solve problematic everyday tasks. 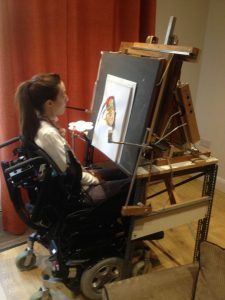 Examples included assisting with dog walking, playing golf and painting. John Heath (former IBM employee) presented an enlightening video of his Nellie robot, developed to assist people with disabilities to prepare and eat microwave meals. Remap also had a display outside the lecture theatre to promote their work. Professor Hongnian Yu from BU concluded the morning session by providing an insight into the current applications and future trends of robotics in assistive technologies, including prototype versions of robots developed by BU. 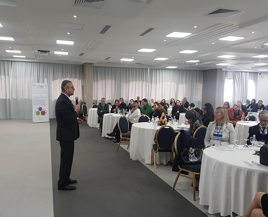 Following an opportunity to collaborate and network during the lunch break, the afternoon session began with a presentation from Dr Konstantinos Sirlantzis, Paul Oprea and Laura Day from University of Kent and the Kent, Surrey, Sussex Academic Health Science Network. 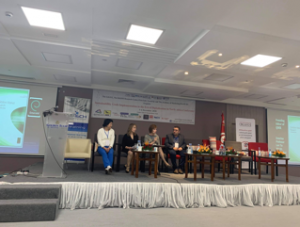 They introduced their European funded project called ADAPT (Assistive Devices for empowering disAbled People through robotic Technologies), which is run in partnership with institutions in Southern England and Northern France. This included details of driving assistance technologies and a simulator for electrical powered wheelchairs. The afternoon presentations included two BU Postgraduate Researchers, Mark Mosely and Asha Ward, on their research into an eye gaze controlled robotic arm and the use of music technology to assist users with complex needs respectively. 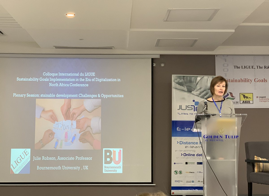 This session provided an opportunity for the sponsors of the Symposium to present their EduWeb research in tackling the problem of digital exclusion, delivered by Zoe Carter (a final year Forensic Computing and Security student). The final presentation of the Symposium described the FACETS (Fatigue: Applying Cognitive behavioural and Engery effectiveness Techniques to lifeStyle) Digital Toolkit, developed by BU, to assist with managing fatigue for people with multiple sclerosis. The day concluded with a Panel of experts in assistive technology; Professor Nigel Harris, Dr Konstantinos Sirlantzis, Dr Sarah Thomas and Eur Ing Martin Harman. The panel raised some interesting discussions regarding the uses and acceptance of assistive technology, as well as the potential establishment of an Assistive Living Technologies network for Dorset, Hampshire and Wiltshire. We will be organising similar events in the future as we further develop our research into assistive technologies. We would like to thank Professor Keith Phalp, all the presenters and delegates for their support with the Symposium. Researchers in the Department of Psychology have been conducting several projects on ways to reduce sexual assault and evaluating campaigns to reduce sexual violence. We are running an event we on the 8th June 2018 here in Bournemouth University to showcase the work and engage in roundtable discussions about how we can improve campaigns, change policy and practice in the criminal justice system, and provide supports in University. These discussions involve charities, police, and student support services. Register at https://reducingsexualassault.eventbrite.co.uk if you are interested in attending. On this page there is a link to a survey which is seeking to gather information about people’s views of the current system and identify areas where improvements could be made. Raise awareness of the project with your various groups of professional services and academic colleagues and share the above link. I saw that the lanternist indulges in transformations, in magical transformations and I saw him transforming himself …. the transforming showman. (A Conversation with Bill Douglas, Bridport Film Society, 1987). The research I am working on with The Bill Douglas Museum concerns Bill Douglas’ film Comrades, representing the story of the Tolpuddle Martys, with a magic lanternist character telling the story. My academic ‘angle’ is to trace ‘third spaces’ in and around Comrades, an idea so far not presented, to my knowledge, by either the director, film commentators, or academics. The place of the Tolpuldde story in British social history has a particular resonance with me, for personal and political reasons. I spend a lot of time in the Dorset region and attend the Tolpuddle Festival every year, which homours the martyrs as the beginnings of the trade union movement in Britain. In my youth I spent time on Miners’ picket lines. I’m now a media adademic. So the film brings together my personal, political and professional ‘selves’ and the role of the lanternist in the narrative adds another layer to this. 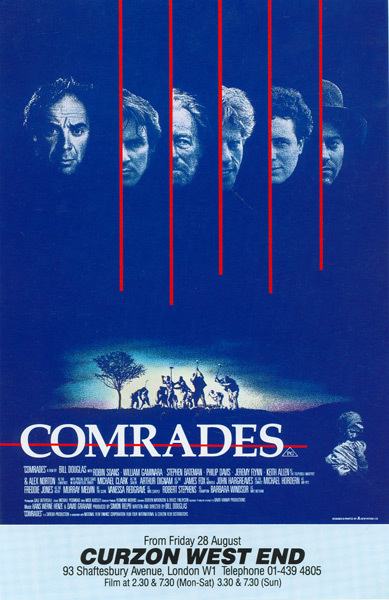 When I saw the research stipend advertised, I wondered if my interest in Bill Douglas’ film, Comrades, would be a little peripheral to the museum’s research focus. 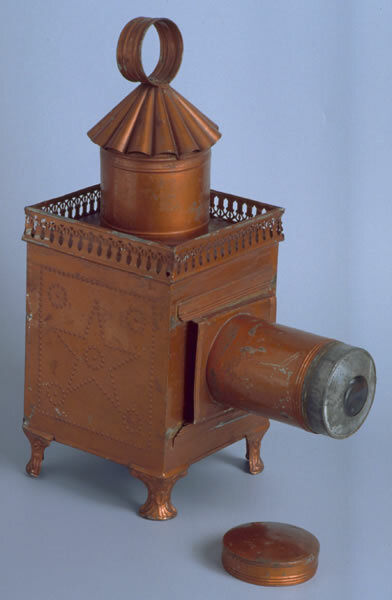 Whilst the film features a magic lanternist and was directed by the museum’s benefactor, I assumed that researchers specializing in all of his work (and particularly his better known ‘My Childhood’ trilogy) or in the pre-cinema artefacts housed in the Exeter museum, would be more central to the work of the museum and the University. Fortunately the museum is keen to explore all aspects of Bill’s work as well as his copllection and has a full productrion archive on Comrades, which they see as key to his career. 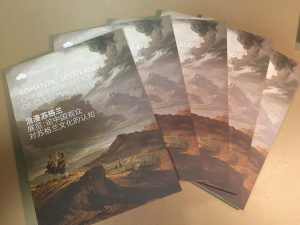 So I was thrilled to receive the stipend and, whilst I am still no specialist in optics, spending time with the collection is adding a new dimension to my research, as so often happens. This third space idea comes from several theorists, including Bhabha (1994) and I’ve recently published a book (with John Potter) on digital third spaces in education. It’s quite a simple idea, really – it’s a space in between other spaces. It can be a real place or a way of thinking, but the important thing is that it’s transformative – it sets up new ideas. For this research, I’m combining physical locations (museums) and ways of seeing and thinking about history and politics, through and with film. So, with this as my theoretical approach, I’m exploring the ‘in between’ relationship between four things (although it’s increasing as I visit the collection and carry out interviews, so it could be more). First, Comrades as a film. Second, the curation of the director’s collection of magic lanterns and other optical artefacts at the museum in Exeter. 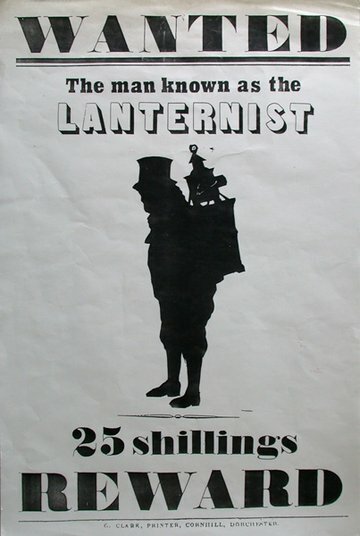 Third, the role of the magic lanternist character in Comrades as pivotal to the representation of social history in the film. And fourth, the curation of this social history in other museums in Tolpuddle (the Martyrs’ Museum itself) and Dorchester (the Shire Hall living history project). So my thinking about Comrades in the context of the Bill Douglas collection, the curational narrative of the Tolpuddle Martyr’s Museum (and its annual TUC festival) and the social history project housed in Shire Hall, Dorchester set ups another third space, between politics, film, art and physical objects. When I visit the museum (twice so far), I spend time mainly with the objects and Peter Jewell’s research notes. I’m interested in the contextual archives – press cuttings, shooting scripts, financial records, but for the research itself it’s the interplay of thinking about history – of cinema and of people (in Unions) that I’m immersed in. But the physical objects are also texts, so I see a magic lantern donated by Bill and a pamphlet about the Martyrs that Peter acquired in a shop in London in the same way. The Lapierre magic lemtern belonging to Bill and Peter’s collection, which was used in Comrades. Perhaps not being a pre-cinema scholar nor a historian gives me a different way of looking at these things. My project is a media audience study, building on mixed methods approaches I’ve used on work with The Wire and Benefits Street. But my own thinking, as I visit the museum and read the materials in the collection, is progressing from thinking about the lanternist as a narrative device (nothing new there) to understanding the hope (probably unrealized) for cinema to democratize representation ‘for the people’ and the advent of trade unions as being impossible to re-create / curate neutrally. In other words, could these stories be told without politics? So far I have made two visits to the museum. The first trip was devoted to exploring the collection and being with the artefacts. The second included interviewing Phil Wickham and Peter Jewell about historical and political narratives in both Comrades and Phil’s curation. Following these visits, I interviewed Tom de Wit, curator of the Tolpuddle Martyrs Museum and I ran a workshop at the Tolpuddle Festival with the Radical Film Network, during which participants drew ‘maps’ of each others’ engagements with films, history and politics in the same way as I’m doing with Comrades. 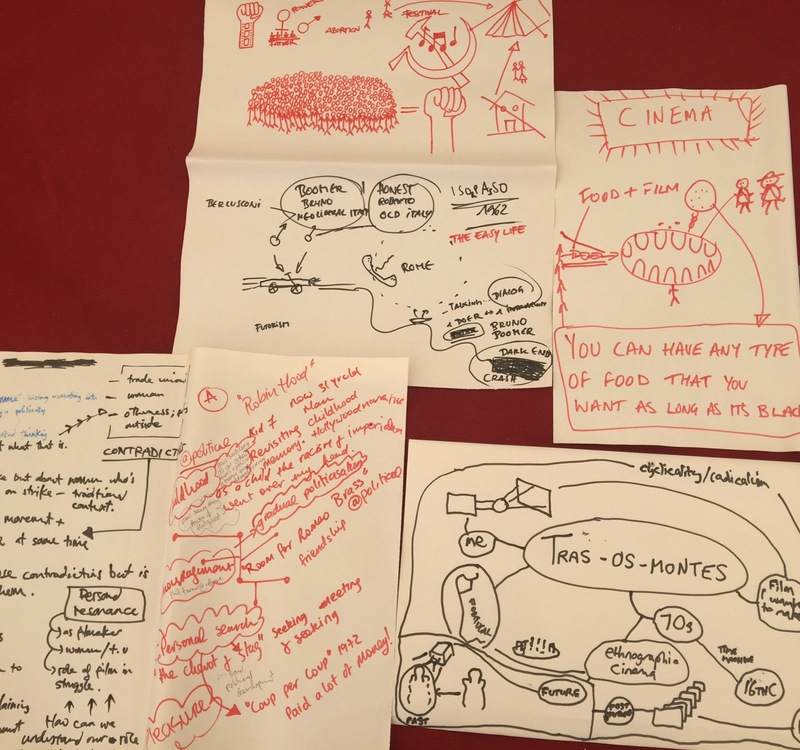 Getting people to draw maps, or other visual representations of the connections they make, helps us understand how our interpretations of films can bring to life history, politics and our own personal life stories. For me, Comrades sits in a space between my own political views and trade unionism, some deeply personal things to do with my late father, my working life and then the connection between all of those in my current geographical location when I’m at work. When I ask people to choose a film with political and historical meaning for them and then think about similar connections, usually they come up with rich, deep and personal stories. I use some ‘distancing’ techniques, putting people together in pairs and then groups, so that by the time they share their stories, they are combined into themes arising from several people. Then, with people’s consent, I photograph the ‘maps’ and use them as data for the research. Next, I’ll be visiting the Shire Hall in Dorchester and finally bringing the curators from the three museums together for a discussion and another ‘mapping’ exercise back at the Bill Douglas Museum. Following that, I’ll be presenting the findings at conferences and writing up for a journal – whether my findings will be something I can generalize about – ie whether I find something out about films, history, politics and people more broadly, or whether what I discover is more specific to Comrades is, is at moment in time a ‘known unknown’. I attended the European Conference on Arts & Humanities (ECAH), July 11th -12th 2017 held in Brighton. 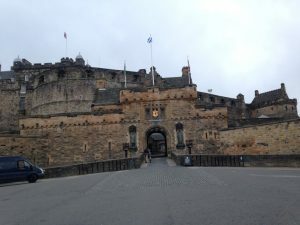 With the conference theme being “History, Story, Narrative”, the aim of the conference was exploring how best to write history, while we were spectators to the process of history, often, while being intimately situated within its impact and formations. Who gets to tell history if the issue is colonialism or class? How does geography, the power of place, intersect with history? What is the status of the personal story or narrative within the larger frame of events? My presentation explored the use of narrative from qualitative research using multi-layered archival data and the need for liberatory narratives when the voices of people are silent in the paperwork. This is an original archival early narrative of Anna, an enslaved mulatto girl who lived in the eighteenth century and the extraordinary turn of events in which her life transformed from slavery to wealth. Within this period of sociohistory, black and mixed-heritage people were both enslaved and considered property or free with minimal rights and privileges. The power of wealth intersects with slavery, family, freedom, and mortality. 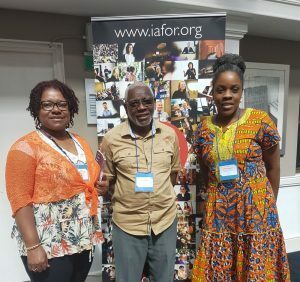 The social sciences explore humanity and its relationship to the environment in which humans live, thus bringing into this narrative the anthropology and development of Caribbean British Jamaican society. The presentation focused on the life and relationships of eighteenth-century Jamaican-born Anna PW and her British colonial community. Her remarkable story, as an analytical case study, highlights a developed narrative embedded in her “lived experience”, however, her voice is absent from the paperwork. In the paper, I argued that narrative analysis represents an explorative method of unpicking and understanding those experiences, thus providing socio-moral education and the need for a liberatory narrative to give Anna a voice in those ‘lived experiences’. A liberatory narrative according to bell hooks (2002), engages the personal and the emotional as it depicts the history of slavery and reminds us of how little we know … particularly if all we know are the facts … “. In Anna’s case, all we have are the facts. Anna’s story takes us from her enslaved birth in 1745 Jamaica, to her manumission by her white father who bequeathed her a substantial amount of property in Jamaica, Britain, and the USA. The narrative explores the legal lengths Anna’s father went to ensure her protection from a patriarchal, racist society including, the involvement of King George III and the Archbishop of Canterbury, all to ensure her wealth was secure when she married and had children. In addition, Anna’s uncle Robert, also bequeathed her his Jamaican properties making her possibly the richest black woman of her time. I would like to take this opportunity to thank the International Academic Forum (iafor) for choosing me to present this paper, the BU Doctoral College, Santander for the award and the fantastic support I receive from my supervisors; professors Sara Ashencaen Crabtree, Jonathan Parker and Dr Hyun Joo Lim. Much respect to you all. Calling all phenomenologists out there! Vanessa Heaslip and Jane Fry are re-commencing the across faculty Phenomenology Interest Group (originally created by Les Todres and Kate Galvin). This group’s aim is to explore and share the philosophy of phenomenology and its research methodology. The first session will be launching a series of films of Les Todres in conversation with Vanessa and Jane. Film clips will be shown concerning elements of philosophy and research to stimulate debate and discussion. Please contact Dr. Vanessa Heaslip (vheaslip@bournemouth.ac.uk) or Dr. Jane Fry (jfry@bournemouth.ac.uk) for expressions of interest. at the Museum Technical Collection Dresden, Germany. curated by Roland Schwarz, Kerstin Stutterheim, Albert Lang, Julia Blume, Rene Patzwald and a group of students from TU Berlin. A poetic search and scouting about a sorrowly nearly forgotten man and his fate. He was a visionary, migrant, Jew, teacher, researcher, inventor, husband, scientist, father, manager, founder, and much more. 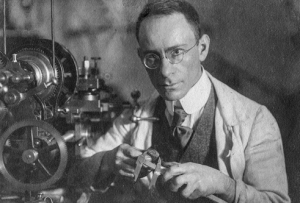 In a dialog between memories of his family, a poetic and academic research about him and his importance one can understand not only his importance for the development of visual-optical technique and media but as well how history is influencing biographies and thus, technical and scientific advances. Subtropical Florida – an excellent place to study microbes. Ph.D. Student Hunter Hines, supervised by Prof Genoveva Esteban of SciTech’s Department of Life and Environmental Sciences, presented their research earlier this month in USA: Florida’s tropical ciliates; novel records and new species. The conference, American Society of Microbiology (Florida Branch) was attended by about 200 scientists, covering all aspects of microbiology. Hosted by Rosenstiel School of Marine and Atmospheric Sciences (RSMAS), University of Miami, the meeting took place on beautiful Key Biscayne, an island off the coast of the city of Miami. Hunter presented the highlights of his PhD project thus far; including the discovery of several first records for the Americas of some (unicellular) ciliated protozoan species. Also included was a species Hunter discovered recently which is likely new to science, and the focus of current research. These novel single-celled organisms help to advance theories of microbial ecology and dispersal, and the presentation received excellent feedback. Prof Peter McCarthy (Hunter’s co-supervisor in USA) of Harbor Branch Oceanographic Institute (HBOI) was also in attendance for the conference, along with his HBOI lab group. What does Care Farming provide for Clients? Prof Ann Hemingway, Dr Caroline Ellis Hill and Dr Liz Norton have recently completed a research project with a local Care Farm in Dorset. They were interested to see what staff felt they were offering to people who visited the care farm. They found that the Care Farm offered an inclusive environment conducive to visitors’ personal growth; enabling them to connect with themselves, others and nature and to develop autonomy and a greater sense of wellbeing. The team are planning to bid for funding to investigate further the impact of nature on young people’s health and wellbeing in partnership with local care farms and schools. As part of BU’s HR Excellence in Research Award process, we are currently evaluating our progress and achievements over the last four years and looking to set our targets and priorities for the next four years. Your feedback on both aspects is essential. Please could you confirm if you are able to attend by emailing Rhyannan Hurst. Tea, Coffee and light refreshments wil be provided! 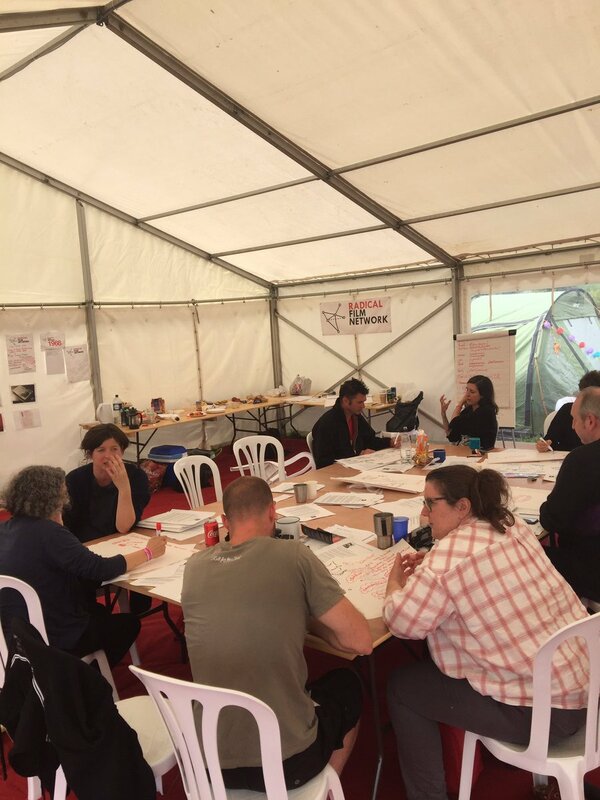 Our ESRC Festival of Social Science event proposal has been accepted! We will be running focus groups and an information session on the topic: “What is the internet hiding from you?” on November 8th, 2016. Event held at the Executive Business Centre. Afternoon session 2.30-5pm, OR Evening session 6-8:30pm (two slots of the same sort of session). Most of us know that our personal data is being used to filter our Facebook `timeline’ or that Amazon personalises which items it shows to us. However, as users, we have not always agreed to that personalisation, and do not know how our personal data is being used. It’s not surprising that many of us are unsure whether we can trust the internet and how our information is shared. 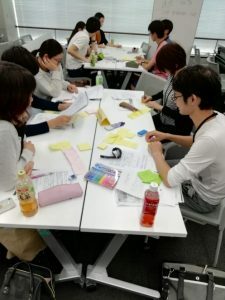 This workshop gives members of the public a chance to find out more about the issues and share their views, potentially shaping the future of big data research.